The hollow pillars have a total height of 18m with an outer diameter of 2m and an internal diameter of 1.40m. 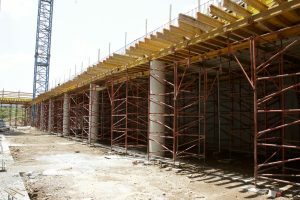 Since the casting process was foreseen for the summer, the internal temperature could have reached a temperature of 50 °C. 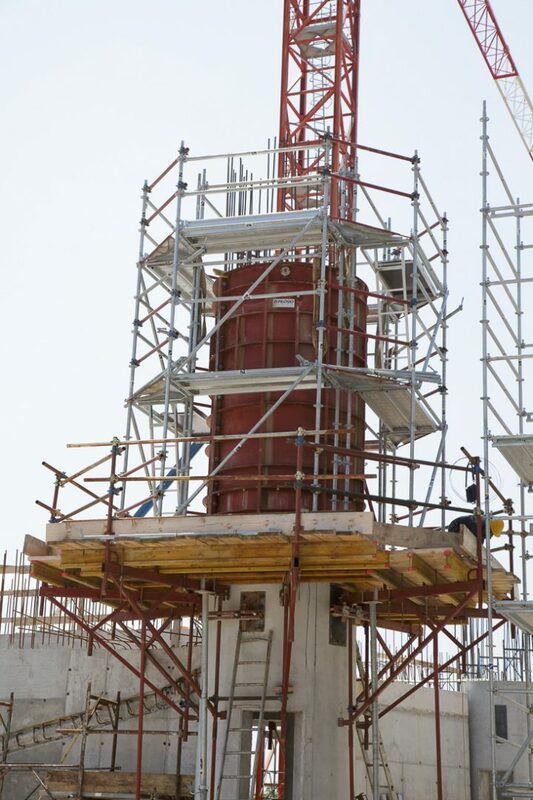 For this reason, the construction company required a customised solution for the safety of its workers. 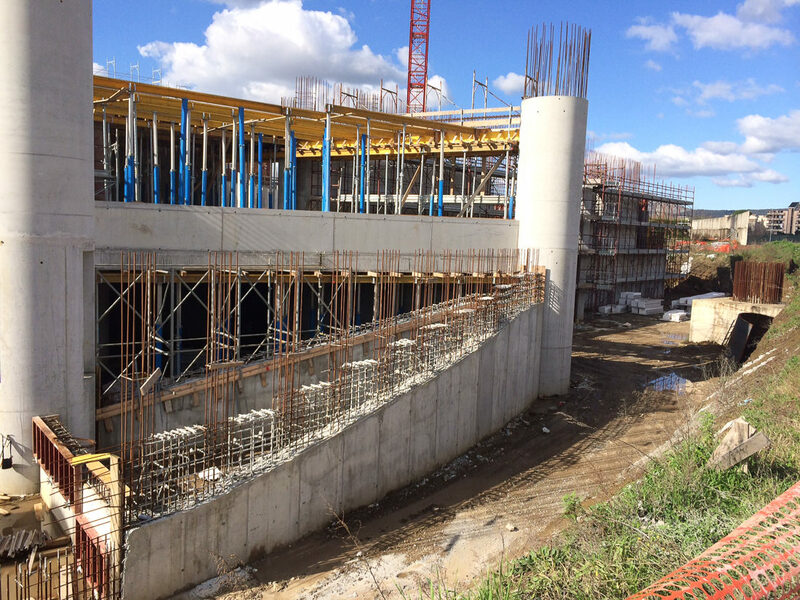 Pilosio provided a solution that didn’t require workers to carry out any routine duty inside the formwork during the operations of arming, disarming and handling. 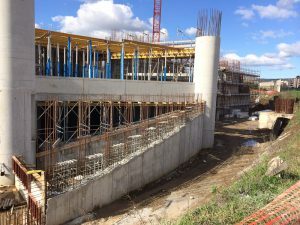 The external formwork is made from two half-shells, while the internal structure is a single mold, with 6 conical semi-circular elements connected to each other through a “conical sledge system” that allows the automatic removal of the entire formwork with a construction site crane. 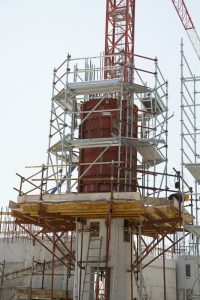 Once the necessary time period for the conglomerate to take has passed, the removal of the internal formwork is very simple and safe: lifting the internal formwork with a hook, the 6 component parts slide over one another reducing the circumference and so allowing the complete removal of the formwork, without any of the workforce having to enclose within the pillar. 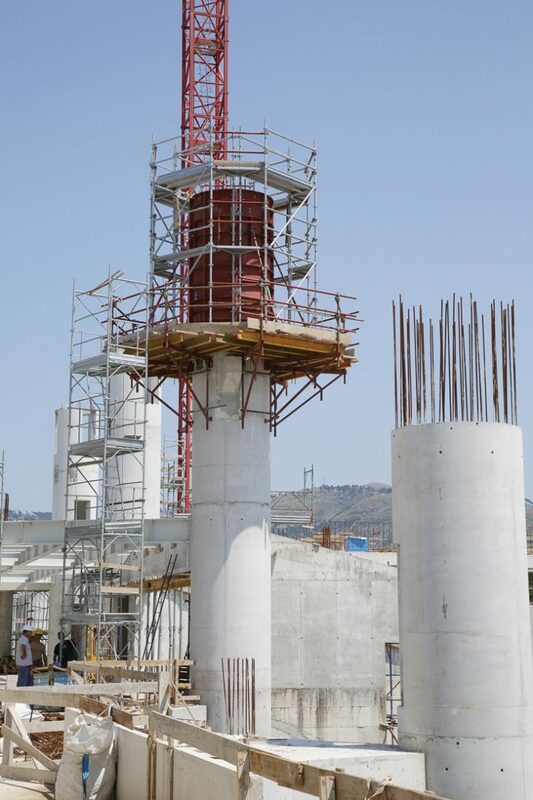 If for any reason access to the interior is necessary, an integrated ladder has been provided that is embedded and welded onto the formwork structure as well as a safe working platform at the base, also useful as protection from any falling objects. 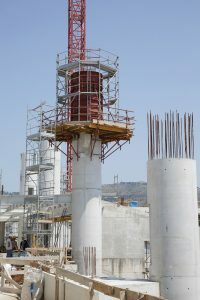 The system was used with climbing platforms for the casting process in five successive stages, and the formwork reused for a total of 52 times.